Beat Bugs (2016) on Netflix India. Check worldwide Netflix availability! 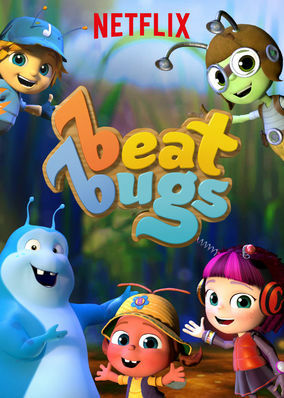 If Beat Bugs isn't available in your country, or you are visiting a country where it isn't, there is still a way to watch it! With songs made famous by the Beatles, five friendly bugs learn big lessons about the world around them -- all from the safety of their own backyard. Timeless tunes made famous by the Beatles inspire bug-sized stories with big lessons for little ones.